Liverpool are said to be interested in signing Japanese midfielder Keisuke Honda on a pre-contract deal to join them for the start of next season. Here are eight quick facts you need to know about the highly-rated midfielder. 1. The attacking playmaker has earned 41 caps for Japan and was a big star of the 2010 World Cup in South Africa, where he helped his side reach the last 16. 2. He was also voted player of the tournament at the Asian Cup a year later. 3. 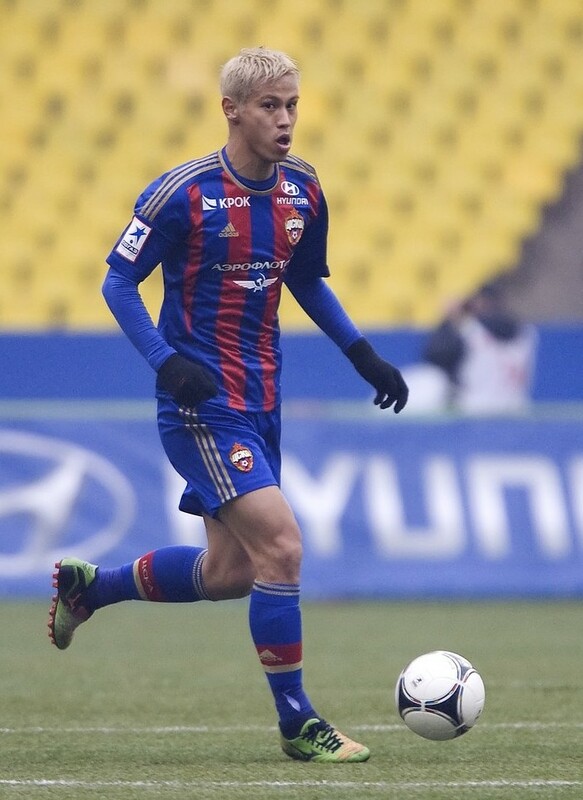 Honda netted eight goals for Russian club CSKA in 25 appearances last season and has nine in 22 matches this term – his best tally since his move from VVV Venlo in 2010. 4. The 26-year-old is a highly technical player and can also slot in as a second striker or drift wide left. He is a dead-ball specialist. 5. Honda is out of contract at the end of the season and was in talks over a contract extension with CSKA but he has since told the club he wants to move on. 6. Manchester United, Paris St Germain, Arsenal and Tottenham, have all been linked with the player. 7. He has been given the nickname ‘Emperor Keisuke’ for his stylish displays for the national team, for whom he made his debut in a friendly against Chile in his home town of Osaka in 2009. 8. His great great-uncle Daisaburo represented Japan at the 1964 Olympics in canoeing.